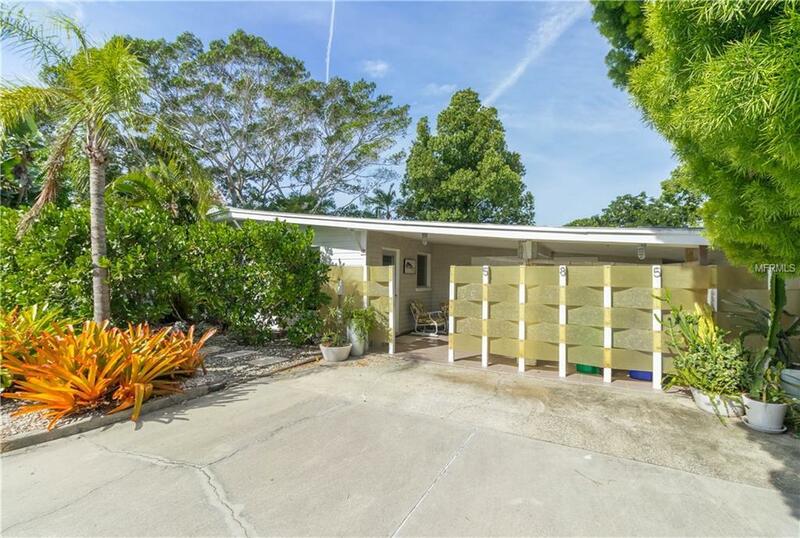 This three bedroom, three bathroom, income generating, canal front home with beach access is a lovely, remodeled Mid-Century jewel. 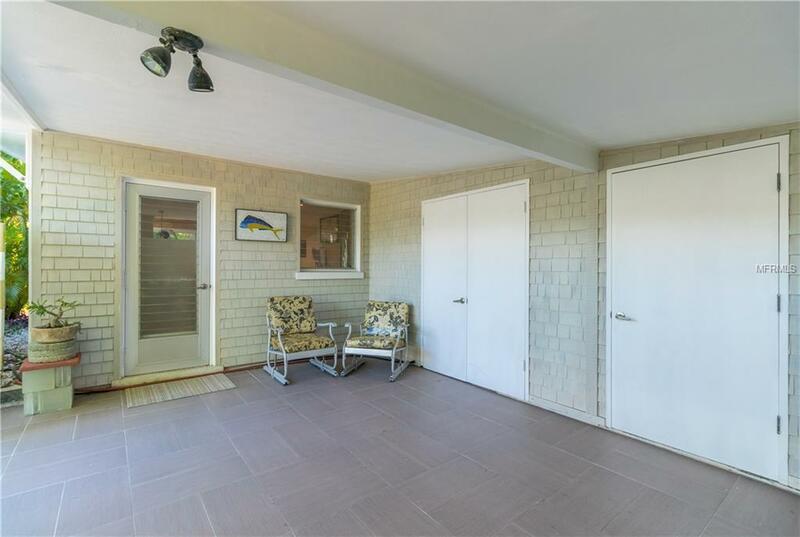 Unassuming from the street, the interior wows with an attractive and streamlined open concept great room. The wall of oversized, hurricane impact windows and coffered wood ceiling joins the elemental beauty of the patio and private garden to the interior. The architect's renovation emphasized integrity for the original design coupled with the modern features sought by today's families. There are new baths, custom fixtures, a euro style stainless steel kitchen, a/c, plumbing, and lanai. 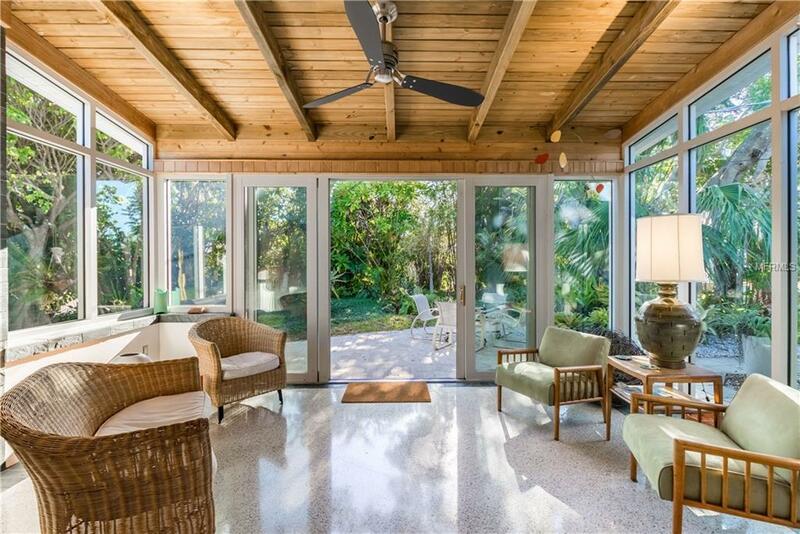 Being sold furnished, it is a blend of Sarasota Mid-Century Modern and Contemporary period classics selected to be casual and comfortable with original art, restored objects, recycled vintage fixtures and polished terrazzo floors. It is truly in keeping with the era of the home. Set in a tropical oasis on sailboat water leading to Sarasota Bay and the Gulf of Mexico, the Architect's careful planning insured a seamless transition between the interior and exterior. This serene retreat was originally built for a schoolteacher in 1959 and occupied by her until 2005. She lovingly planted and nurtured many trees and plants that survive to this day including over 200 different exotic plantings such as cactuses, epiphytes, and orchids giving it a tropical feel and privacy. This tropical oasis is ready for your immediate enjoyment AND has repeat renters with an ability to increase the existing income! 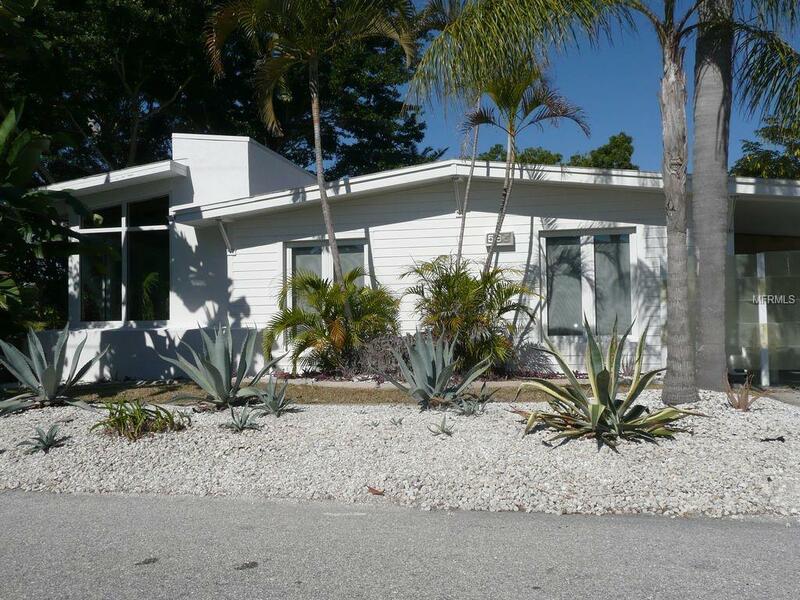 Additional Water Information Home is On 125' Of A Deep Water Saltwater Canal With Concrete Seawall. Sellers indicate That A Dock/Slip Can Be Permitted As Well As A Pool.